The next few days are feel like forever, second only to my last few days before induction / due date. On Sunday I reach 20 weeks, which means that Tuesday is my 20 week anomaly scan day aka the gender scan! I am so excited at the prospect of finding out if Bean is a boy or a girl! It's pretty much my one and only topic of thought if left to my own devices for any amount of time. I feel a bit silly really, despite all my reading up on gender prediction and our having fun "trying" for a girl I am quite certain that Bean is a boy. 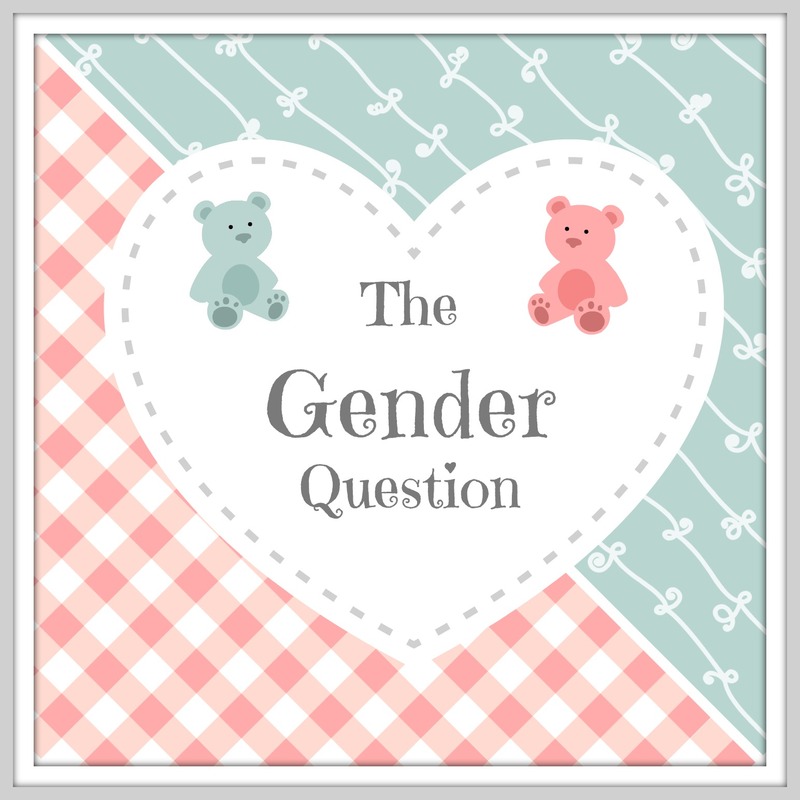 I think that other than actually seeing the baby's bits first hand, or at least at the 20+ week scan, the best way to determine a baby's gender is to go off the mum's gut feeling. And I'm feeling BOY. The scan is nice and early, I'm booked in at 10:30 which means I'm not hanging around waiting all day going insane, and that there is time for my mum to come up and mind Tom & Georgie (who will be at home unlike Jack who will be at school), AND Hubby can still get to work afterwards without being ridiculously late or having to take the day off work. Couldn't have worked out better! If this baby IS a girl I have no idea how I will contain myself.... not because I specifically crave a daughter myself, but because Hubby does. I will be delighted for myself either way. I'll be ecstatic for him if it's a daughter, and a little sorry for him if it's a 4th son, because we're REALLY not doing this again! Not without a very very large lotto win. I will have to play it very cool so as not to give anything away. We have already agreed that no matter what - boy or girl - I will continue to refer to baby as "he" until they are here in the world with us, which what we agreed with my 2nd and 3rd babies. I'm trying to prepare the Hubby, mentally, for another son. We (me and the kids) refer to Baby Bean as "Fred" and "he" - although I am careful to remind the kids that it *might* be a girl. He actually said to me the other day "You're convinced this baby is another boy, aren't you?" and I had to answer truthfully that yes I am. Imagine how thrilled he would be if Baby really did turn out to be a girl! ?